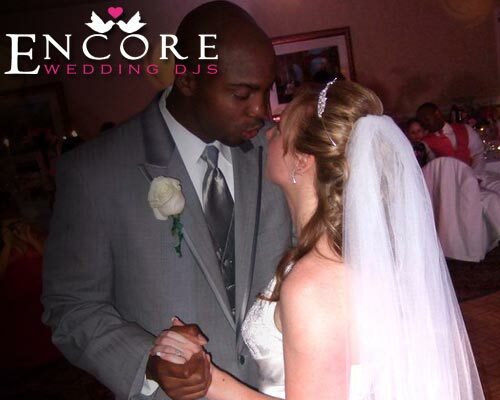 This wedding was our first debut of the Encore Photo Booth. Anthony and Sarah held their wedding reception at the Embassy Suites Hotel in Livonia. They hired us for the DJ entertainment, lighting design, and photobooth. The knew exactly what they wanted for to be added for their play list, so they e-mailed us an excel file of what they wanted. We later took all these great songs and added them into their online planner. One thing was for sure, they wanted “Love Shack” in their DO NOT PLAY list. 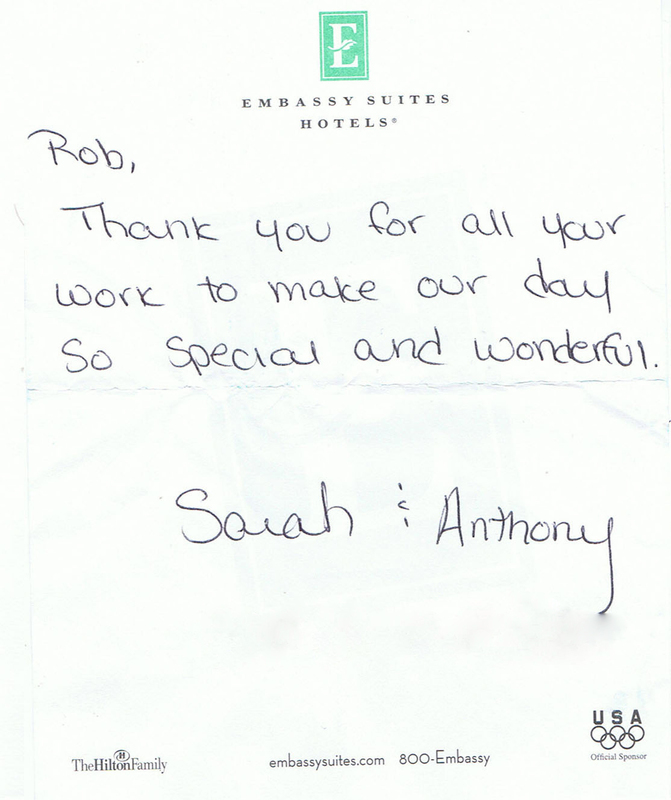 The couple was so appreciative that they left us a nice letter of appreciation. I wish we had a video to show you from their reception. It really highlighted the magic of the DJ + Lighting + Photo Booth.